Healing Spells | Blog: Rituals & Spells: Love, Protection and Health! 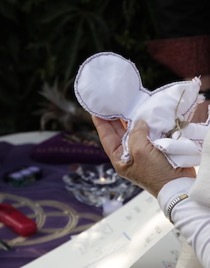 To support healing process and to give energy to the problematic places on the body. This spell comes from one spirit and makes the process of healing faster and without complications. Beware, don't skip the modern medicine, follow the doctor's orders and medical treatment. Thanks to this spell, the treatment will be effective and things will work for you. To relieve from physical problems. This spell comes from an old magical tradition. It works on the principle of moving the problem/ disease to some nonliving object. In the past people believed, that they can move their problem to some animal. For example, that if they daub their body with a toad, their warts would disappear. Don't worry, we won't use any toads this time :-)! We will need a stone. You have certainly heard about the healing power of crystals or gemstones. And it was also written a lot about spells dealing with minerals. 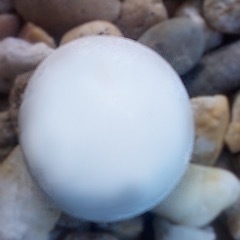 Find some nice, oval, white stone. The best stone is formed by water. You can find it in a river or a sea.